There is a lot of uncertainty surrounding Brexit so whenever I get the chance to talk about it, I am happy to. 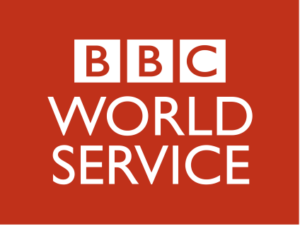 On BBC World News today with Dan Damon, I discussed the future for the UK, when Article 50 will be triggered and what I thought about some of the people the EU would like to represent it in the discussions. I am sure you have heard that the European Commission has appointed Michel Barnier to lead on Brexit. Guy Verhofstatdt has been appointed to lead for the European Parliament. If we look at who they are, then I have known and worked with Michel since 2009, and have always found him to be willing to listen; I’m not saying we have always agreed but I know he will try to be fair. Guy is a very passionate supporter of a federal Europe. We get on well too and despite some high profile sparring in the European Parliament, we have had many discussion behind the scenes and can even sometimes find some common ground! The European Parliament would like to see him as being their “Brexit negotiator”. However, the European Commission will lead on the basis of a mandate from the European Council, which is made up of the heads of government from the UK and the other 27 countries who will remain. The European Parliament will be keen to promote its importance but while the Parliament will have to ratify the deal, they will less influence over what is actually in it. I also talked about the question many people are asking and that is what happens next? You have to remember that both the UK and the EU need to prepare for the negotiations. Theresa May is a strong negotiator who keeps her cards close to her chest and also likes to ensure she has all the facts first. She has already set up working parties, instructing Boris Johnson, Liam Fox and David Davis to agree priorities for the talks. On the other side, there has been an institutional struggle between the European Council, European Commission and the European Parliament, and as yet there is no one clear EU position. When asked about a timescale for triggering Article 50, the answer is simple, Theresa May will do so when she is ready. The Prime Minister is just that sort of negotiator. I know Tusk has banded January 2017 around as a date but this has not come from the UK government. Theresa May has made it clear, it will be “early 2017”.